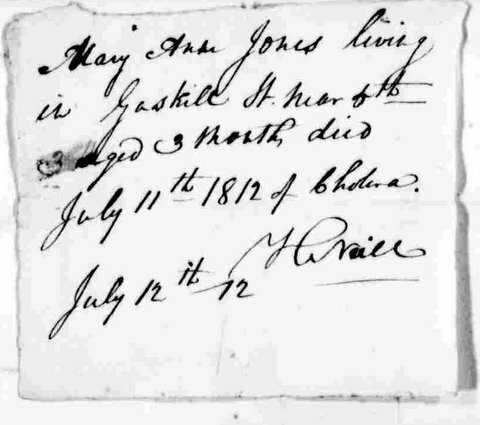 Ten-month-old Edward Braddock died this date July 1st, in 1848 of Bronchitis and was buried at Bethel Burying Ground. 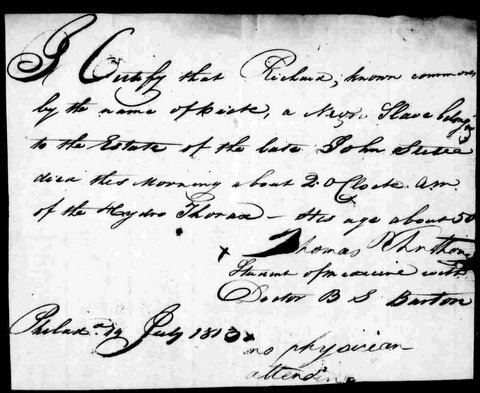 His father, John, worked as a seaman at the nearby Delaware River docks for $20 a month. His spouse took in washing and ironing to supplement their income. They paid $5 a month for a room or shanty in the rear of 115 Queen Street only three blocks from Bethel Burying Ground. Tragically the Braddocks lost another child five days later again to Bronchitis. William was only one-month-old. 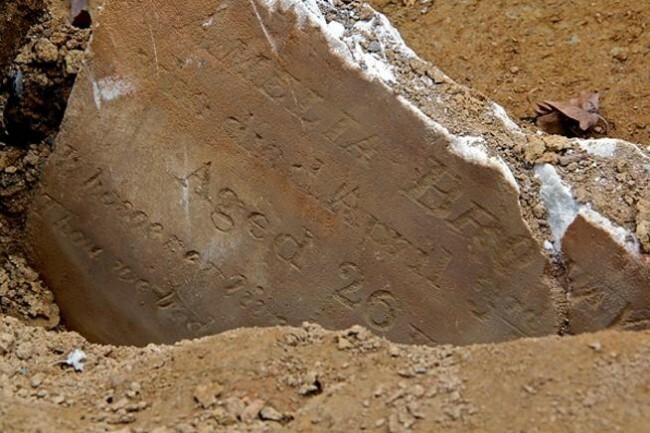 He was likely buried in the same grave as his brother. The Braddock family lived next to the Weccacoe Fire Company. 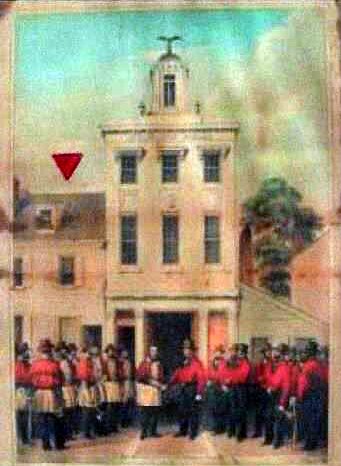 The red arrow points to the house that the family lived behind. Another neighbor was AME Bishop Morris Brown who lived at 154 Queen Street with his family.